The traveling riders are showing up and the excitement is in the air... 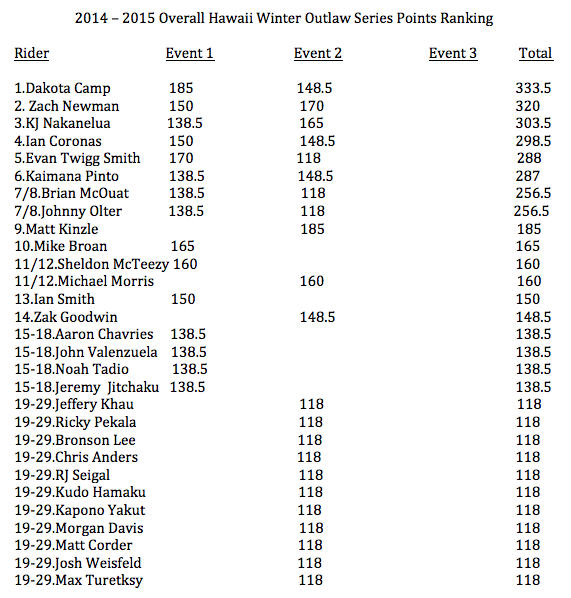 The final event of the 2014 - 2015 Hawaii Winter Outlaw Series is TOMORROW. We are gonna be finishing off the series with The Scorcher 5 and things are gonna get hectic! This event we will also be crowning the overall series champ so everyone will be hungry for the win. When. Jan 17. alt 18. We will be meeting under the bridge at the Moanalua Community Park at 1030am SHARP and will carpool to the jam hill then. THIS IS A RACERS ONLY RACE, NO SPECTATORS. Sorry, but we want to respect the community around the jam zone and keep things as mellow/ crowd free as possible. $10 to jam. All $ goes to the top jammers. A helmet and gloves are REQUIRED. Full pads or leathers are recommended. 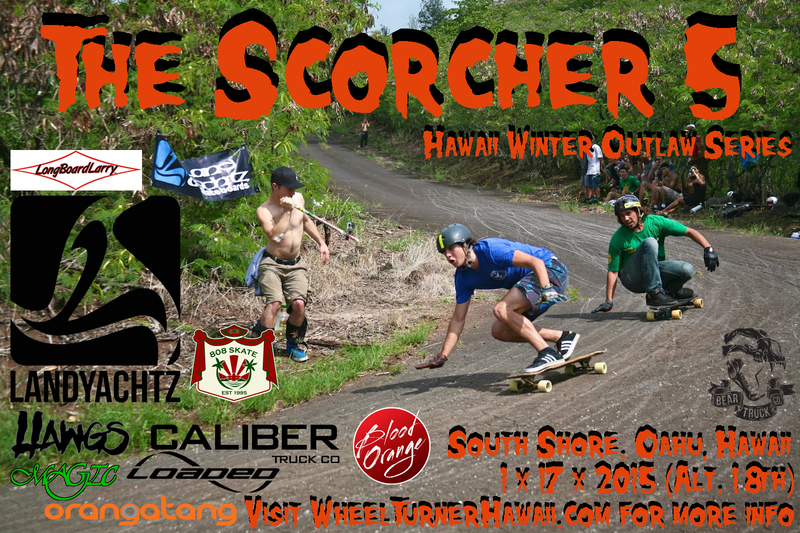 HawaiiWinterOutlawSeries event 3 - The Scorcher 5. The final stop of the 2014 - 2015 Hawaii Winter Outlaw Series is going down this month and we are gonna finish off the series proper. The Scorcher 5 is going down on Jan 17, 2015 ( Jan 18 alt. date ) and boy is it gonna be hectic. 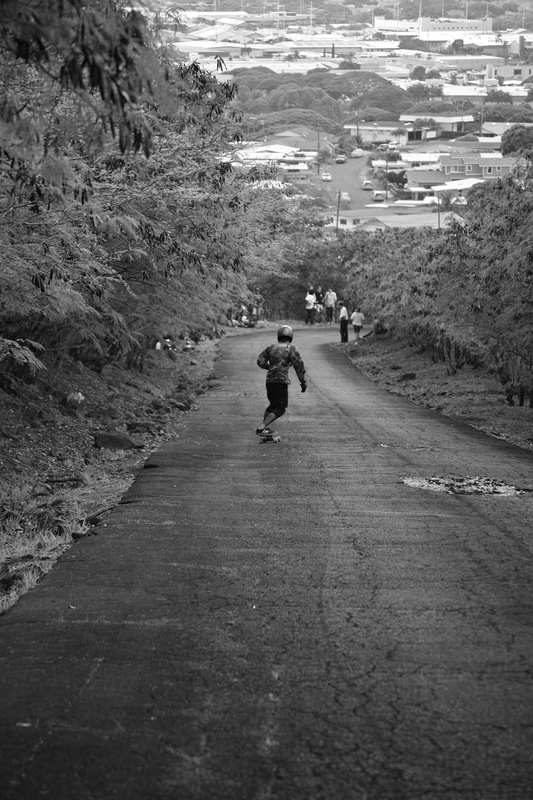 The Scorcher has proven throughout the years to be one of the gnarliest race courses the Hawaiian islands have to offer. Riders will be going head to head down a closed road with 3 dropping hairpins connected by steep straights. Not only do the turns have character but so does the pavement. It is a gutted black top road with holes, gravel, cracks, w concave and all the other features needed to have some extra fun. Every year the road falls apart more and more but the skating only gets faster and closer... i can't wait to see the race this year. Like all H.W.O.S events riders are REQUIRED to wear a full face helmet and gloves, full pads or leathers are recommended. The riders meet spot will be posted on the site on Jan 16th, so be sure to check back. Everyone that wants to participate will have to be at the riders meeting previous to the race. 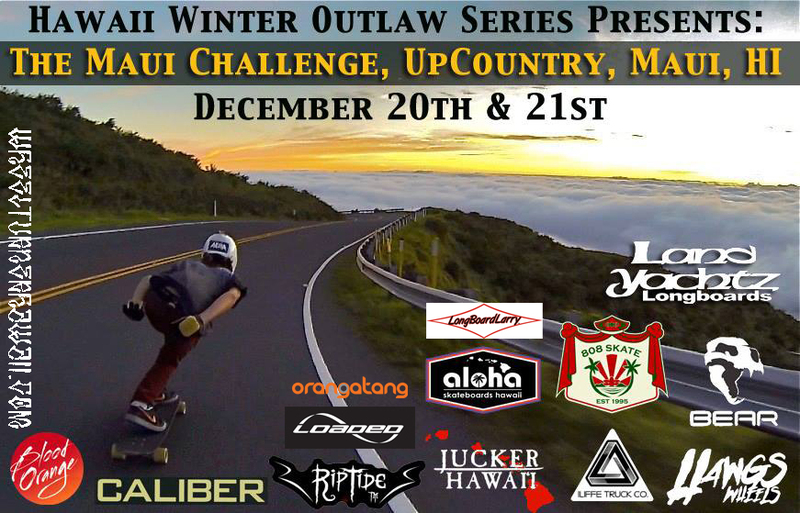 Get hyped, the winner of the 2014 - 2015 Hawaii Winter Outlaw Series will be crowned on the 17th! Who's gonna take it home?